All of Rare’s classics combine together for a catchy performance. It’s hard not to get a little misty eyed when viewing the latest video for the upcoming Rare Replay, especially if you grew up with some of the titles on this list. As a compilation of 30 different Rare games from the past few decades, the Rare Replay promises tons of replay value. 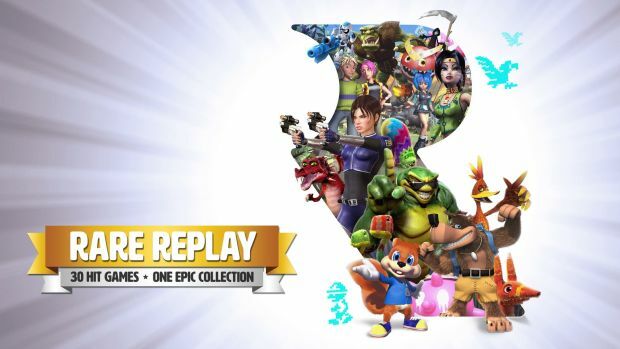 Some of the more well known titles included in the Rare Replay include Perfect Dark, Banjo Kazooie, Battletoads, Kameo and Viva Pinata while the more obscure ones include Blast Corps, Jet Force Gemini and much more. This isn’t a simple compilation though. The Rare Replay will offer 10,000 Gamerscore in Achievements and players will be able to complete various challenges called Snapshots based on the games in the collection. Even better, if you’ve unlocked Achievements for the Xbox 360 versions of some games then these will carry over in your progress. Rare Replay will release on August 4th for Xbox One, retailing for $29.99/€29.99/£19.99/$49.95 AU.